We could not be more excited to unveil the second theme of 2018, Petrichor. The word Petrichor means “the pleasant smell that follows the first rain after a dry period”. If you’ve ever stood outside after a long, soothing rainfall, you know this smell - a mix of earthiness, and green-ness, and freshness. 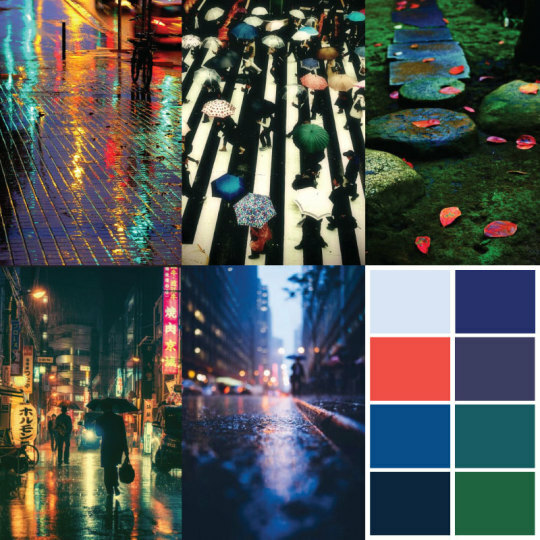 We wanted to capture the cleansing of a hearty rain with this month’s theme, which showcases saturated, moody jewel-tones and rich color.